Amazing. Simply Amazing. That's what they'll think when they see and TASTE this beautiful gift. 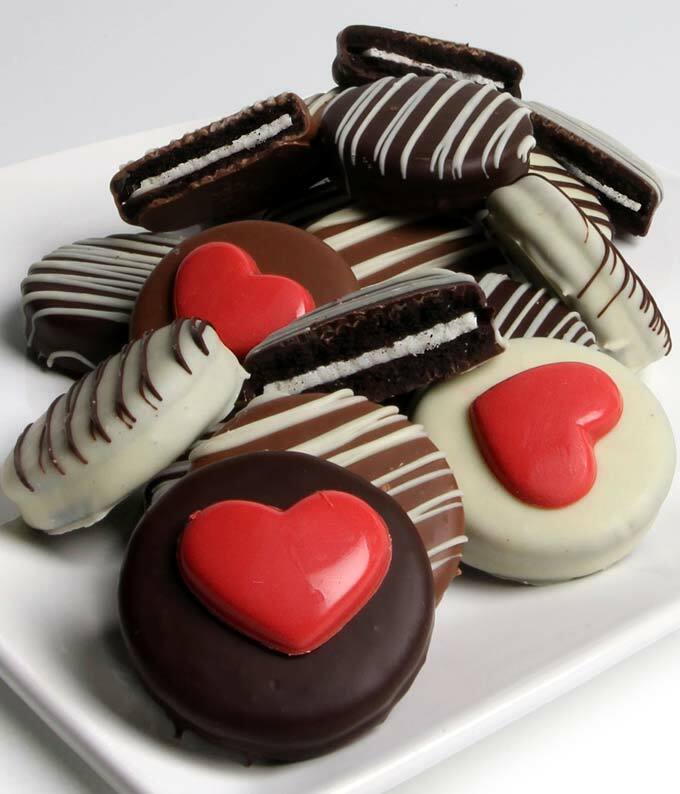 Everyone's favorite, OREOS, are hand dipped in Belgian Chocolate to make this an incredible gift. Each gift is decorated with red candy hearts making this a festive and romantic Valentine's Day gift. OREO® is a registered trademark of Mondelēz International Group.